Welcome to Jeanette Byrnes Photography! One way or another, you've found your way to my website and blog. Thank you for being here! I'm so thankful you've taken some time out of your day - however much or little you are able to spare - to give my page a look, or read a few blog posts. 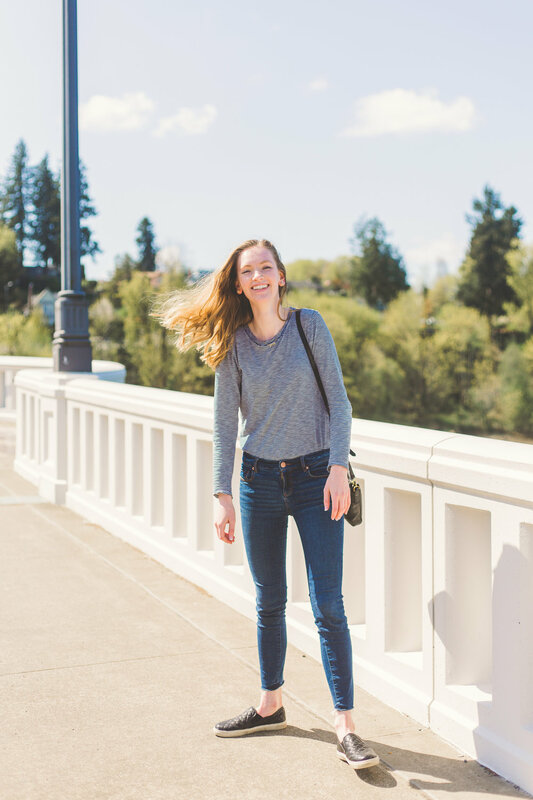 I am Jeanette, a twenty-something portrait photographer working primarily in the South Puget Sound area of Western Washington. This is just a little bit of my story. In 9th grade, I took photos on my point and shoot of some flowers in the yard and thought I was the next Ansel Adams (LOL, nice try baby J). In 10th grade, my friends DSLR camera prompted many photoshoots with friends, come rain or shine. In 12th grade, I bought a Canon Rebel T3 and took my first photography class. Throughout college I took more classes and read every blog post on photography that I could find. I shot my housemates headshots, my first engagement session, and continued to foster my growing passion. November of 2017 brought the decision to purchase a Canon 5D Mark III, the camera I had been pining after for years. In December 2017, I shot my first wedding. In 2018 I've had the privilege of shooting with some amazing families and I've come to find that capturing family relationships is one of my favorite things to shoot. Since then, I've booked my first few 2019 weddings and can not WAIT to spoil these couples rotten. I have big goals for JBP, and I am excited to take you along. I've come to find that the sky is truly the limit when it comes to pursuing passions. It sounds cheesy, but whatever your goals or dreams may be, if you keep yourself grounded in the things that are most important, lean on God through the setbacks, and continue working hard, then there really is nowhere to go but up. I get giddy just thinking about where my business could end up in the next year, or five years down the road! Again, thank you for being here. It truly means the world. If you liked this post, I would love for you to join me on Instagram and Facebook!